I could literally hear my heart beat as I was advised on my care plan. I was to start chemotherapy. A port was going to be placed on my chest for ease of administration but I practically begged to have it sooner because I wanted to start the treatment ASAP. Afterward, my port was placed on my chest and I got my shots from my chest. Then my hair! My hair! Oh, Lawd! It started falling off in little bits and I thought I could manage it. I started wearing wigs. Then I woke up one morning and noticed a large chunk of hair on my pillow😭. I was very emotional about this addition to my woes. Well, I decided to shave it all off. I needed motivation, so I called my childhood friend on facetime and she talked me all through shaving my hair. It was really consoling hearing her say I looked good bald. It uplifted my spirit and boosted my ego. Never underestimate the goodness of kind words. My skin texture went from beautiful to horrible. I couldn’t hide my hands and nails( how I wish it was winter so I could wear gloves.) I lost my toenails. My Palm was darkened..you may wonder why I would be so consumed in my physical appearance when I had cancer cells trying to grow in me? I speak from my experience that depression is spiraling. You just keep deteriorating constantly. I can’t put into words the thoughts I had at the time. I didn’t know what to worry about at this point… My life and health? The fact I couldn’t eat? My looks? My loss of energy? I fought with so many emotions. My friends were in Nigeria and London at the time, people who cared about me were not near. I didn’t have physical support but I’m forever indebted to my friends and brothers who called me every day. 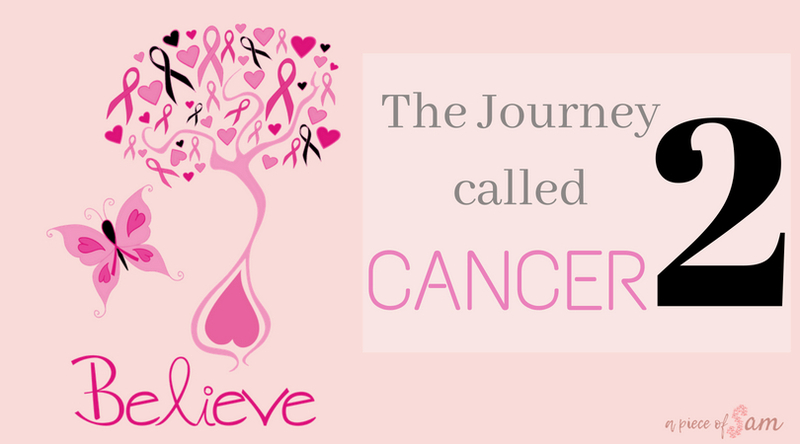 It was chemotherapy for every three weeks until I was scheduled for a bilateral mastectomy. Stay with me as I chronicle my experiences and feel free to share stories of you or your loved ones. You such a strong person. Never knew you went all through this ordeal. Am glad you pulled through. As I read your journey tears keep dropping. Your strength inspires me daily. God has got your back and you can only get better. My smile confuses the devil….cancer has got nothing on me. Thank you for caring for me through it all. You’re such an inspiration, keep winning gurl, cancer’s got no hold on you. Will I say it is tears, or the fact that this is happening to my friend? May God arise on your behalf, Sammy! My friend you have really been through a lot. You are a very strong woman hugs. wow!!! often times we have no idea of what our friends are going through ..you had crossed my mind a couple of times, I was glad to see you back on Facebook but knew absolutely nothing of the ordeal. The battle is won! Sammie, all I see right now, is how bright your present day life & your future is, how much of God’s outstretched arm you now are to your world;being a huge source of inspiration. I’m eternally grateful to God for you. Samie, you are so strong! You’ve been through all this and have come out purified like Gold. Oh! I’m so proud of you. Love you so much Dear. You are blessed of God. Wow, inner strength is always key. You’ve fought a good fight. This will surely inspire someone out there going through same phase that all hope isn’t lost. God always takes care of his own. It is God all the way. Okay…. So I only just scrolled through, I need to sit down and digest every single word I’m going to read. I’m wowed! Wowed at how beautiful this blog is… The colours….. 😍😍😍…. and hey you #kickedcancer yeah you kicked the s#!+ outta cancer’s arse😁…. I pray for an absolute/complete healing for you… #Samrocks.